I used to be closely involved with a sales team at a medium-sized technology company. 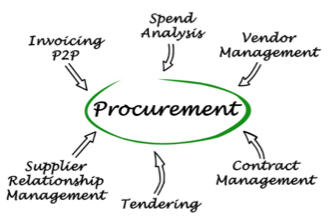 Nicolas, one of the salespeople there, often came away from meetings feeling a bit dazed, convinced that procurement’s only goal was to buy at the lowest possible price. But Bruno, one of his colleagues with the same types of customer, sells very successfully without always needing to lower the price. Is Nicolas just unlucky, or is there more to it? Nicolas keeps falling into the same trap. He ends up negotiating on price because he hasn’t convinced the customer of his solution’s value, which leads to buyers trying to hammer the price down. Or he starts bargaining before other issues have been cleared up, such as delivery times or SLAs. And sometimes he simply gives up too quickly. So what makes Bruno so successful? Bruno, on the other hand, appreciates that negotiating actually means finding solutions. He understands his customers’ challenges and KPIs, and responds by offering them added value in his solutions. He keeps a ‘give and take’ list, which gives him self-assurance and helps him find a win-win situation together with the customer. Last but not least, he also always has a strategy and action plan. Customers see Bruno as a partner and adviser; he understands their situation and is there to help them. The moral of the story is to start negotiating as soon as the customer begins their buying journey, in the initial conversation. If you as the seller do everything right throughout the customer’s buying cycle, negotiating actually becomes very simple, even for complex matters. It turns the negotiation into a simple conversation that successfully concludes all previous discussions.